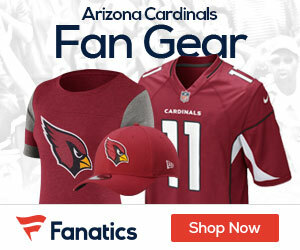 In this day and age of salary cap issues the Arizona Cardinals are no different than any other NFL franchise. That is why it is being reported that the team has offered top WR Larry Fitzgerald an extension. Contract conversations have been ongoing with the team and Fitzgerald’s agent, Eugene Parker. Graves said there have been “steady talks” over the past couple of weeks. Graves calls getting this deal done “crucial” before free agency starts at the end of the month. “His cap number will have an affect with how we proceed in free agency,” Graves said, allowing that without a new deal, the Cards not only will be hamstrung with new players but also re-signing their own free agents. Because of the importance of Fitzgerald’s situation, Graves said the team’s other offseason business has been relegated to the back burner. Hopefully, this contract will not be quite as awful as the last one he signed. While Fitzgeral is a great player, his contract was horribly structured in an age where front office exec hold all the bargaining power.